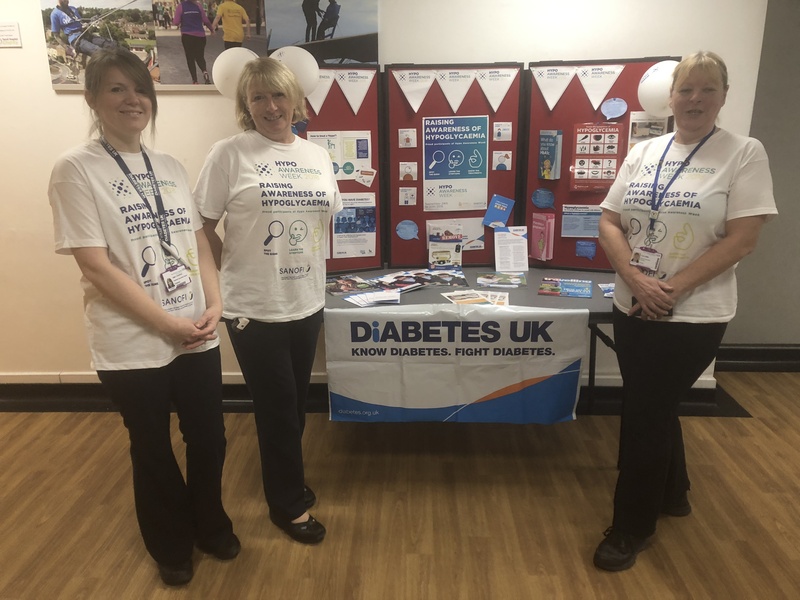 Yeovil Hospital joined forces with healthcare professionals across the country to raise awareness of a short-term complication of diabetes in a national drive to improve staff knowledge and patient care. The Diabetes Department staged a seven-day campaign to raise awareness about, and reduce episodes of, hypoglycaemia as part of Hypo Awareness Week, which ran from Monday to Sunday (24-30 September 2018). Hypoglycaemia, also known as a hypo, takes place when the blood glucose levels of people with diabetes drop too low. They can feel shaky, unwell and, in extreme cases, can slip into a coma. As part of a week-long series of activities, the trust held training events to raise awareness of the condition. Resources, including guidelines, leaflets and educational slides, have been used to help spread the word. According to results from the 2017 National Diabetes Inpatient Audit, around one in six hospitals beds are occupied by a person with diabetes. Dr Gerry Rayman, the national clinical lead for the audit, has said that since 2010 there has been a 30 per cent reduction in severe hypoglycaemic in hospitals however, nationally almost one in five inpatients with diabetes experiences hypoglycaemia during their hospital stay. Last year, a total of 343 sites, the majority of which were hospitals, across the country took part in Hypo Awareness Week.